The Boilermakers are a very intriguing team. They are arguably the hottest team as of right now and have put together quite an impressive season. 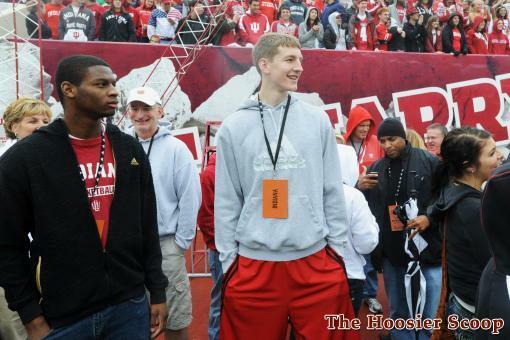 After losing Robbie Hummel there were a lot of questions as to how the Boilers would respond. Are they going to pack it up and wait til next year when Robbie’s back? Who is going to be their third scorer? Those are just a couple questions many fans and experts had. I’ll admit that I did not expect Purdue to play as well as they have of late. I predicted earlier that Purdue would win the Big Ten, I was close but I have to say my heart wasn’t 100% confident in that prediction. But Matt Painter and his crew has stepped up to the plate and have answered most of the questions we all had. Unsurprisingly the Boilermakers success lies in the Hands of the two senior superstars, E’Twaun Moore and JaJuan Johnson. JaJuan Johnson is averaging 20.5 ppg and 8.0 rpg. Johnson’s ability to knock down any shot from every spot on the floor makes him literally impossible to stop. Not only is his presence felt on the offensive end of the floor. JaJuan is also averaging 2.4 blocks/game. Including a 7 block game against Michigan State on February 27th. In that game he also scored 20 points and had 17 rebounds! 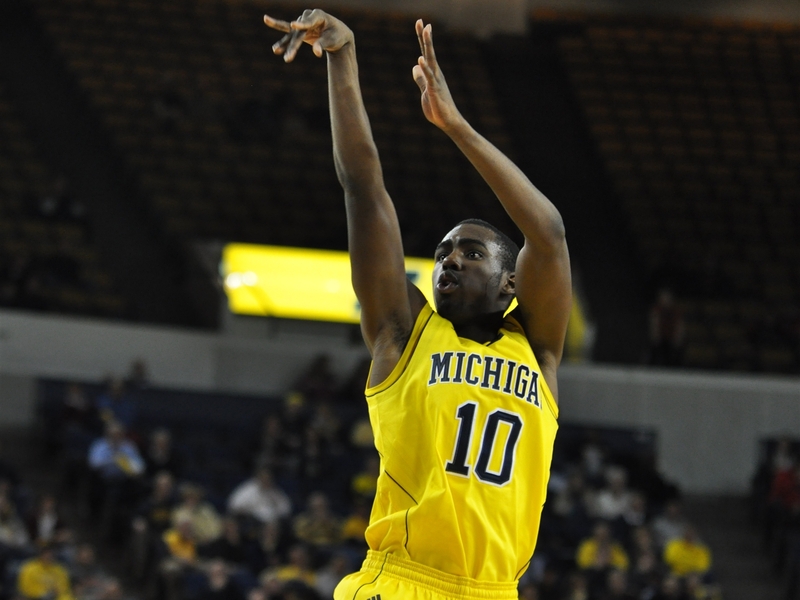 I think Johnson should win the Big Ten Player of the Year and should be considered for the National player of the Year. E’Twaun Moore on more than one occasion has shown his ability to put the ball in the bucket in pressure situations. He has also shown that he can take over a game and pretty much win it single handedly. He did so in 38 point performance against then #3 Ohio State. I think Moore is catching his stride and at a very good time. We need him to stay hot and help his buddy Johnson lead the Boilers to a hopeful Final Four run. Before the season started when Robbie Hummel was still healthy everyone had Purdue making the Final Four and a possible championship appearance. I would like to take a second to recognize Matt Painter’s efforts this season. 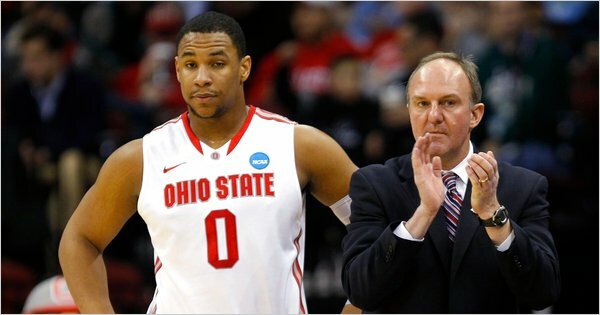 He took a team that was demoralized when their star player went down for the season and led them to a 25-5 record and a possible repeat of co-conference champs (need a win against Iowa and Wisconsin to beat Ohio State this weekend) and thoughts of a possibly still making a Final Four run. I think Matt Painter should also be recognized for consideration for Big Ten and National Coach of the Year. During a brief conversation with my dad last night he pointed out that Purdue, with the likes of the two senior superstars/supporting cast/and Matt Painter, still have a “legitimate” shot at winning the National Title. As I said earlier, I’m not sure I agree with my dad and Jay Williams who think they have a shot to win it all. However, I hope they’re right and I have confidence that Purdue will make it to the Final Four! 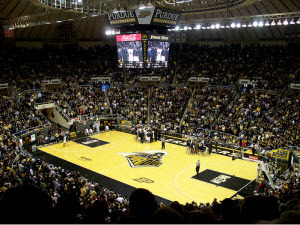 Purdue basketball is my most favorite thing in the world. When I was a young basketball player defense was my game.I could stop anybody I was put on and had fun doing it. I personally relate to Purdue’s style. I could also shoot pretty well, something Purdue seems to be struggling with lately but defense is Purdue’s identity. That’s what Purdue basketball is known for, solid pressure D.
This year was supposed to be the Boilermakers year. I thought they were under ranked with their preseason ranking before Hummel re-tore his Anterior Cruciate Ligament (ACL) and I was for sure Purdue was going to win the National Championship. But, that’s the great thing about Purdue basketball. Once Hummel went down everybody dropped Purdue from their list of teams that could make a final four run in March 2011. However, Purdue fans still knew they had a chance. Matt Painter coaches team basketball and it shows. Purdue is currently ranked 17th in assists averaging 17.7 assists/game. We also still have JaJuan Johnson and E’twaun Moore. 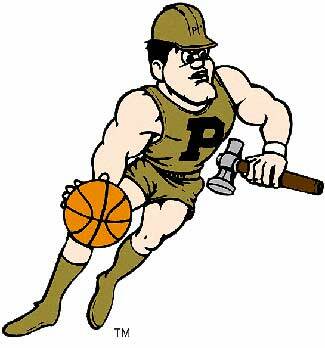 It’s no lie to Boiler nation that the Boilermakers are better with Hummel but not down and out! Both Johnson and Moore are averaging over 19 points/game. Two scorers averaging almost 20 points a game? that’s not too bad at all. All they need is a little bit of a supporting cast right? So far, that’s been Purdue’s biggest problem. We haven’t had somebody step up consistently and show that they’re the go to guy when Moore and Johnson are being held in check. Sure, Hart and Barlow have shown signs of being that guy but neither have stepped up every game thus far. And then you have Terone Johnson, our own little diaper dandy. With more experience he’ll be a great player but he’s no Josh Selby from Kansas. He’s not going to be able to win us a ball game single handedly. I don’t think he quite has the composure just yet to do something like that. Now, I’m not saying that Purdue is going to crash and burn because they don’t have that 3rd role scorer. There’s still time. Like I’ve said, Hart and Barlow have shown glimmers of hope and Terone is going to be great and is a very good option as a scorer now. The two guys that we really need to step up and make buckets this season are our outside shooters; D.J. Byrd and Ryne Smith. They need to pick it up and start shooting consistently to take some pressure off Johnson inside and by shooting well from the outside the defense will have to step out and guard and won’t be able to pack the lane. In turn this will open up more space for Moore to beat his man off the dribble and open up cutting lanes. Purdue’s success solely relies on their ability to play solid defense (which I know they will) and on Byrd’s and Smith’s consistency from the outside. Smith showed great potential and guts in the conference opener against Michigan scoring 17 to go along with Johnson’s 22 and Moore’s 20. If Smith can continue to produce like this I look forward to Purdue putting up big numbers and becoming a favorite to win the Big 10 and to make a run to the final four in March!